GRW works with international and domestic partners, most often NGOs, to provide an array of customized trainings on bettering responses to violence against women and girls. We offer multi-disciplinary trainings relevant to the controlling legal framework for law enforcement, legal professionals, government representatives, NGOs, and more, that are adapted to both the local and global context that fosters the pandemic of violence against women. All trainings are grounded in local advocacy and the lived experiences of women and girls in those countries. 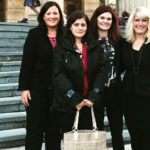 Coordinated community response (CCR) is a method of implementing laws and policies that prioritizes victim safety and offender accountability for violence against women within a social change framework. CCR guides communities to build systems interventions that respond effectively to victims’ actual experiences. GRW offers a variety of training initiatives related to CCR. We offer curricula that can be adapted and delivered by GRW experts in partner countries, recently piloted in Estonia and Slovakia. GRW has prepared a training of trainers CCR curriculum for adaptation to any country cultural and legal context, that can then be redelivered by in-country trainers as often as necessary. Through feedback, we hear from GRW CCR participants that they return to their countries with a renewed sense of purpose and deeper understanding of how to implement domestic violence laws through a CCR in their communities. Moldova has seen promising developments in the last decade with its laws relating to domestic violence and trafficking. 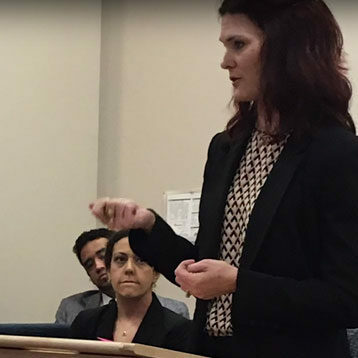 In collaboration with Women’s Law Center (WLC), GRW prepared a domestic violence/trafficking court monitoring methodology to gather relevant information for how the justice system is implementing its domestic violence and trafficking laws. GRW trained a group of 12 individuals on the nuances of court monitoring and will assist WLC in analyzing their findings in a final report. Contact Melissa Scaia, International Training Director, for more information about GRW’s customized trainings: mscaia@grwomen.org. GRW has been working to build capacity among legal system actors in the Republic of Moldova on an ongoing basis since 2015. 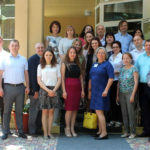 Through our partnership with La Strada Moldova, GRW has undertaken an ambitious timeline of trainings and study visits for legal practitioners in Moldova to enhance their knowledge about sexual violence response best practices and international law. As a part the project, GRW carried out a three-day training in Chișinău in December 2015 for stakeholders. Building upon that initial training, GRW hosted a delegation of 10 practitioners at a workshop in Minnesota in February 2017. 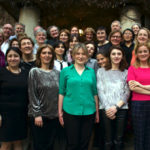 GRW will return to Moldova in June 2017 to work with a group of 17 Moldovan trainers to deliver a sexual violence response best practices curriculum tailored to the needs of the country’s legal practitioners.